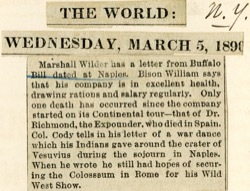 Marshall Wilder has a letter from Buffalo Bill dated at Naples. Bison William says that his company is in excellent health, drawing rations and salary regularly. Only one death has occurred since the company started on its Continental tour—that of Dr. Richmond, the Expounder, who died in Spain. 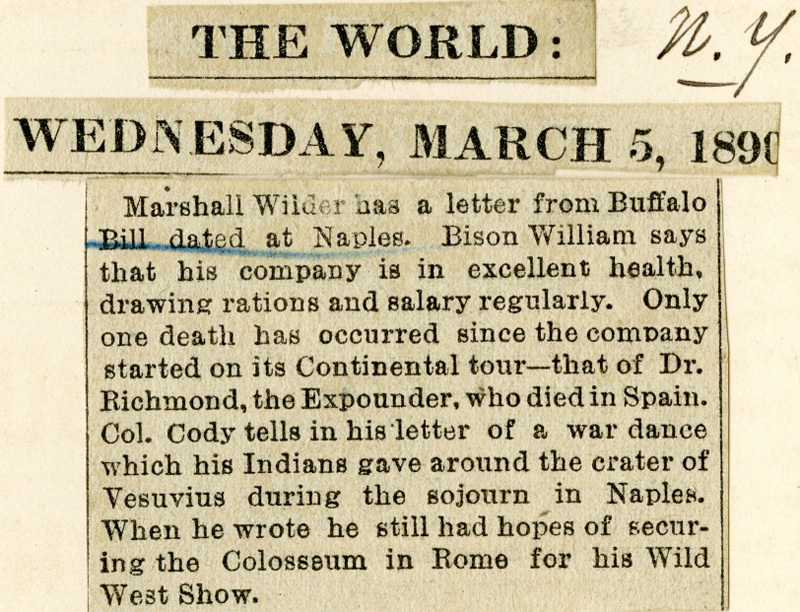 Col. Cody tells in his letter of a war dance which his Indians gave around the crater of Vesuvius during the sojourn in Naples. When he wrote he still had hopes of securing the Colosseum in Rome for his Wild West Show.